Last week our friends were in town and we ordered pizza for dinner one night. We always drive past this little pizza joint called Bradlios... Well Restaurants.com had a gift certificate for them, so we gave them a try. I do have to say I loved the crust on their pizza and the bottom of the crust had those yummy little black specks of goodness too! 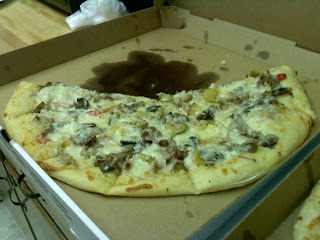 The 2nd pizza we ordered was the Philly Steak pizza. It had steak, onions, green peppers, red peppers and mushrooms with a white sauce. The guys got to this pizza too but it was another really good pizza. We also ordered a BLT Hoagie for my other friend and she said it was pretty good too but a little greasy. Speaking of grease... 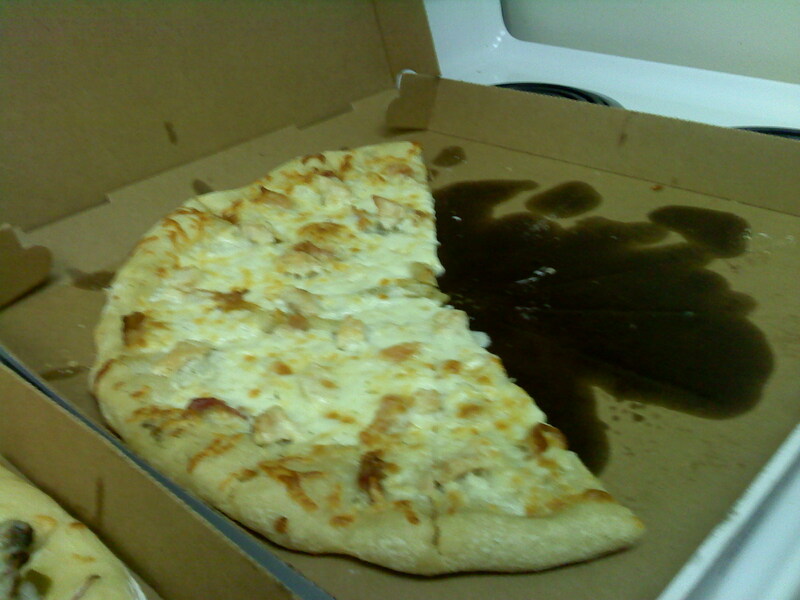 The boxes look like the pizza is really greasy but it was not. I was thinking when I took my first bite that the crust was going to by soggy but I was wrong! If you are in the Monroeville area... Give Bradlios a try!